Find out how you can try inspectiTRAC in your environment for FREE! 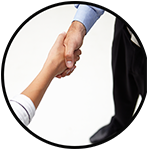 Our team strives to provide the very best buying experience possible. 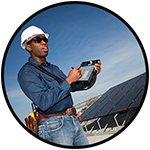 We are confident that our product can help your organization complete your inspections, audits and observations more effectively and efficiently than your current, paper-based system. We work hand-in-hand with you and your company to provide a system that helps you minimize the cost and maximize your results. We listen, we offer ideas and then, together, we will discuss possible solutions to your unique situation. We will also introduce the capabilities of the inspectiTRAC suite and how it can reduce the time and resources needed to complete your audit, observation and inspection processes while improving accuracy and accessibility. 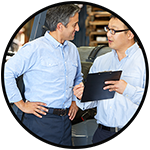 During the consultation, we’ll help your team determine their involvement in the initial setup process and the on-going administration of inspectiTRAC. After our initial discover we delve further into understanding your specific circumstances by analyzing the needs of the facility to determine the specific collections that are required. We often ask follow questioning to gain a deeper understanding of your specific requirements and the outcomes you seek from your inspections, audits and observations helping ensure you get your specific business needs addressed as accurately and quickly as possible. What are your current inspections, audits and observations being completed? What is the frequency of these? What is the number of people involved in the collection of data? What is the number of people involved in the manual transfer of data? How is this data currently being used? What are the current challenges and issues with your existing system? What are looking to achieve from automating your inspection audits observation systems? You are in control of the conversation. We will answer any and all questions you have to make the buying process as simple and easy as possible. Upon deciding to implement inspectiTAC™, inspections, audits and observations that were identified throughout the consultation are developed. This can be completed by either you and your team using inspectiTRAC Administrator or by the inspectiTRAC team. Regardless, the design is always customizable to the specific needs of the client. If applicable the data collections are accessed by selecting an icon that is appropriately placed on the facility graphic or map. The visual map is then adorned with collection-specific icons to ensure accurate data collection. Again all, mapping and icon placement is customized to the specific needs of the clients and their collection requirements. Following the initial setup of inspectiTRAC a product training session either via web-conference or on-site is completed. The training is typically broken down into two sessions. 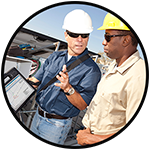 1.	inspectiTRAC Data Collector and inspectiTRAC Administrator — Learn how to use the system to setup data collection forms and how to collect inspection/audit/observation data. You will also learn everything you need to know to teach your end-users how to collect data with inspectiTRAC. 2.	inspectiTRAC Manager- Learn to develop schedules, notifications and reports to optimize the power of the data collected. Following training, customer personnel will begin the process of implementing inspectiTRAC. Based on prior set-up, the data collection can begin. Additionally, customers are encouraged to configure inspectiTRAC Manager by adding users, scheduling inspections, notifications, and preparing response plans for collected data.